Create your own paper straw mix. 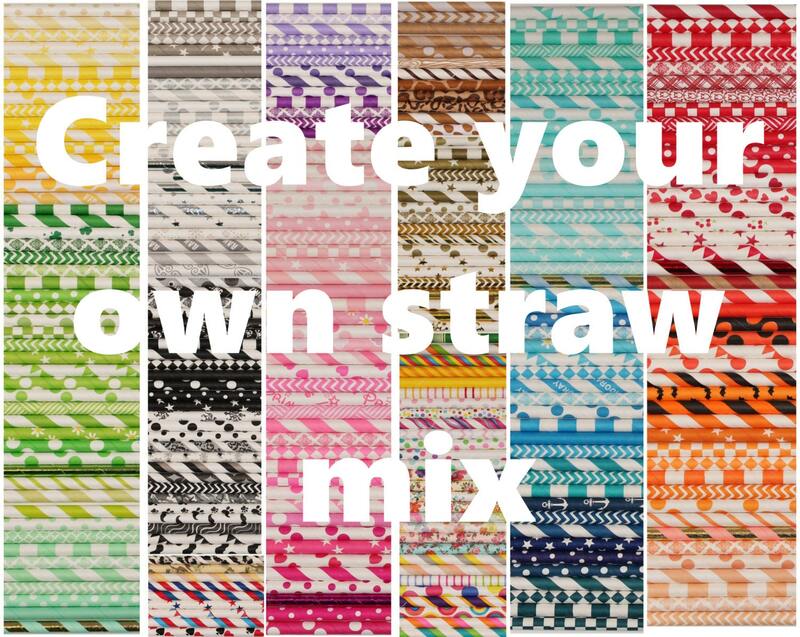 Choose from over 300 different paper straws to create the perfect mix of colors and patterns. Use the drop down box to select the quantity of paper straws you need. You can purchase paper straws in quantities of 10, 25, 50, 75, 100 all for one low shipping price. We will do our best to ensure that you receive equal number of each straws.